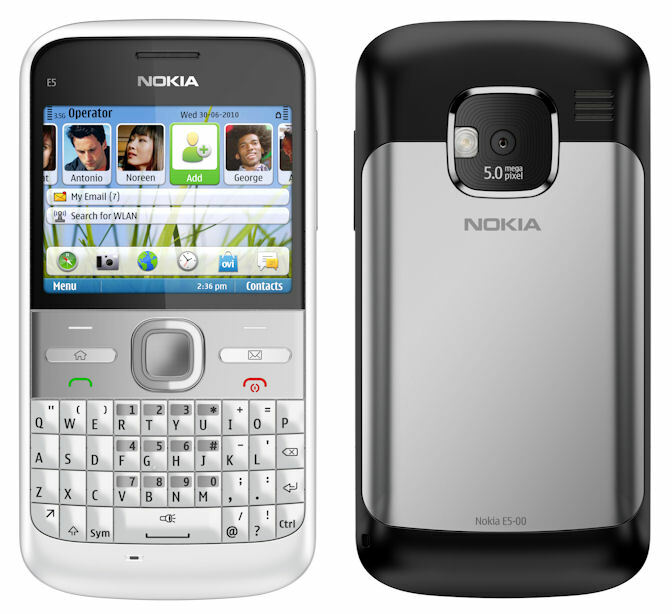 The Nokia E5 is a new mid-range E-series smartphone that will entice buyers with great interest in the E72/E63 form factor to get it. Meant as a replacement to the ageing E63, the E5 actually has double the internal memory (256MB) compared to E72 (128MB), and an improved home screen that displays social networking and messaging statuses. The keyboard is also modified and the hardware buttons reduced. The front camera is also absent, which means video call is no longer possible. Other than that, most of the specs remain similar to the E72. This mid-range model lineup replicates the strategy of E63 that was launched with improved features against the E71. That could also mean that a new E-series to replace E72 is in the works. But the model number would not be E73, because “E73 Mode” is already a model released exclusively by T-Mobile in USA. For now, there is no reason to spend more money on the older E72 unless you can’t live without the front camera and you desire more hardware buttons that you can configure as shortcut keys.